Tata Consultancy Services (TCS) has secured a $690 million ten-year partnership with M&G Prudential and a £2 billion deal with Transamerica for an insurance and annuities revamp. In the most recent development, M&G, the UK and European savings and investments business of Prudential, will use TCS to revamp its UK savings and retirement operations. John Foley, chief executive of M&G Prudential, says partnerships are part of its five-year plan to “improve customer outcomes” through the £250 million capital investment its shareholders are making in the business. The administration of over four million life and pensions contracts will move from Capita, Prudential’s business partner for the past ten years, to Diligenta, a UK subsidiary of TCS. According to TCS, Diligenta has transferred more than 11 million policies to its digital platform, TCS Bancs. M&G says about 1,100 Capita roles across several UK sites are expected to be transferred under the TUPE arrangements to Diligenta. A further 700 roles in India are also expected to move from Capita to TCS. TUPE refers to the “Transfer of Undertakings (Protection of Employment)”. This intends to “preserve employees’ terms and conditions when a business or undertaking, or part of one, is transferred to a new employer”. TCS will also assume responsibility for the operation of some of Prudential’s internal IT infrastructure. About 180 full-time roles in London, Reading and Craigforth in the UK will also transfer under the TUPE arrangements from M&G Prudential to TCS. In the second development, Transamerica has chosen TCS to overhaul its insurance and annuities administration in the US as it looks to cut costs. 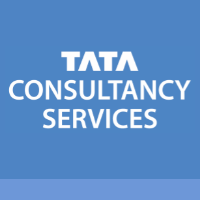 The agreement, a “multi-year partnership”, will bring more than $2 billion of revenues to TCS, and they say it is expected to be completed by Q2 2018. TCS will look after Transamerica’s life insurance, annuity, supplemental health insurance and workplace voluntary benefits products and take on administration of over ten million policies. In addition, Transamerica says it is “considering” entering into a similar servicing and administration arrangement for its long-term care customers. Any forthcoming decision would be announced separately. Transamerica will continue administration and servicing of its retirement plans, IRAs, advice centre, mutual funds, exchange-traded funds and stable value solutions on existing platforms. The transition will affect approximately 2,200 current Transamerica employees. It says transferring employees will be given the opportunity to remain in the same US cities where they are currently based.